Is JBG SMITH Properties (NYSE:JBGS) A Good Stock To Buy After Amazon HQ2 Announcement? As we already know from media reports and hedge fund investor letters, many hedge funds lost money in October, blaming macroeconomic conditions and unpredictable events that hit several sectors, with healthcare among them. Nevertheless, most investors decided to stick to their bullish theses and their long-term focus allows us to profit from the recent declines. In particular, let’s take a look at what hedge funds think about JBG SMITH Properties (NYSE:JBGS) in this article. In the 21st-century investor’s toolkit, there are several methods shareholders can use to assess stocks. Some of the less known methods are hedge fund and insider trading moves. Our researchers have shown that, historically, those who follow the best picks of the best money managers can outperform the S&P 500 by a significant margin (see the details here). “Another investment that ended up in the Fund after a spin-off transaction earlier this year is JBG Smith Properties (JBG Smith). This US REIT was spun-out of long-time holding Vornado Realty Trust as a well-capitalized and more-focused owner of office and multifamily properties in the Washington DC area (including Crystal City and Pentagon City). The company also controls land that can accommodate more than 18 million square feet of future development. With a substantial opportunity to boost cash flows within its existing portfolio (87% occupancy in the office portfolio) as well as to profitably convert its well-located land bank to a higher-and-better-use, there are frankly few REITs that seem to have such a substantial opportunity in front of them in terms of boosting NAV over the next 3-5 years. With that being the case, Fund Management has been eager to add to its position in JBG Smith common at lower prices. We’re going to review the recent hedge fund action regarding JBG SMITH Properties (NYSE:JBGS). 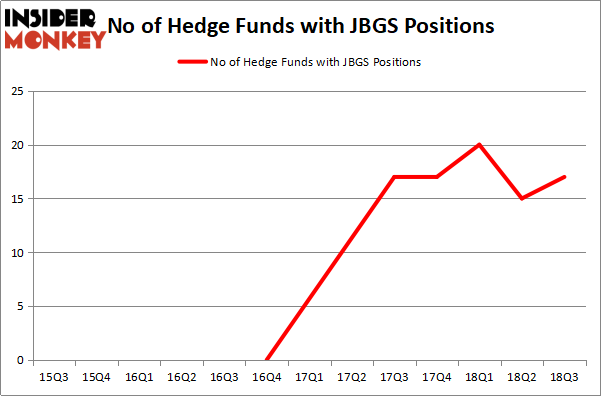 What have hedge funds been doing with JBG SMITH Properties (NYSE:JBGS)? Heading into the fourth quarter of 2018, a total of 17 of the hedge funds tracked by Insider Monkey were bullish on this stock, a change of 13% from the second quarter of 2018. By comparison, 17 hedge funds held shares or bullish call options in JBGS heading into this year. So, let’s see which hedge funds were among the top holders of the stock and which hedge funds were making big moves. The largest stake in JBG SMITH Properties (NYSE:JBGS) was held by Long Pond Capital, which reported holding $81.4 million worth of stock at the end of September. It was followed by Sessa Capital with a $73.7 million position. Other investors bullish on the company included Waterfront Capital Partners, Third Avenue Management, and Empyrean Capital Partners. With a general bullishness amongst the heavyweights, key money managers have been driving this bullishness. Renaissance Technologies, managed by Jim Simons, created the most outsized position in JBG SMITH Properties (NYSE:JBGS). Renaissance Technologies had $7.7 million invested in the company at the end of the quarter. 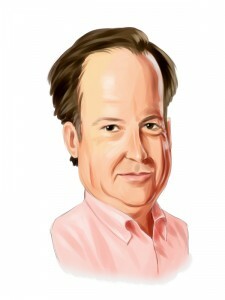 Joshua Nash’s Ulysses Management also made a $7.4 million investment in the stock during the quarter. The only other fund with a brand new JBGS position is Matthew Hulsizer’s PEAK6 Capital Management. Let’s now review hedge fund activity in other stocks similar to JBG SMITH Properties (NYSE:JBGS). We will take a look at Life Storage, Inc. (NYSE:LSI), Bristol-Myers Squibb Company (NYSE:BMY), Ryman Hospitality Properties, Inc. (NYSE:RHP) and Schneider National, Inc. (NYSE:SNDR). This group of stocks’ market values are closest to JBGS’s market value. As you can see these stocks had an average of 20.25 hedge funds with bullish positions and the average amount invested in these stocks was $309 million. That figure was $280 million in JBGS’s case. 0 is the most popular stock in this table. On the other hand Life Storage, Inc. (NYSE:LSI) is the least popular one with only 12 bullish hedge fund positions. JBG SMITH Properties (NYSE:JBGS) is not the least popular stock in this group but hedge fund interest is still below average. This is a slightly negative signal and we’d rather spend our time researching stocks that hedge funds are piling on. In this regard BMS might be a better candidate to consider a long position.